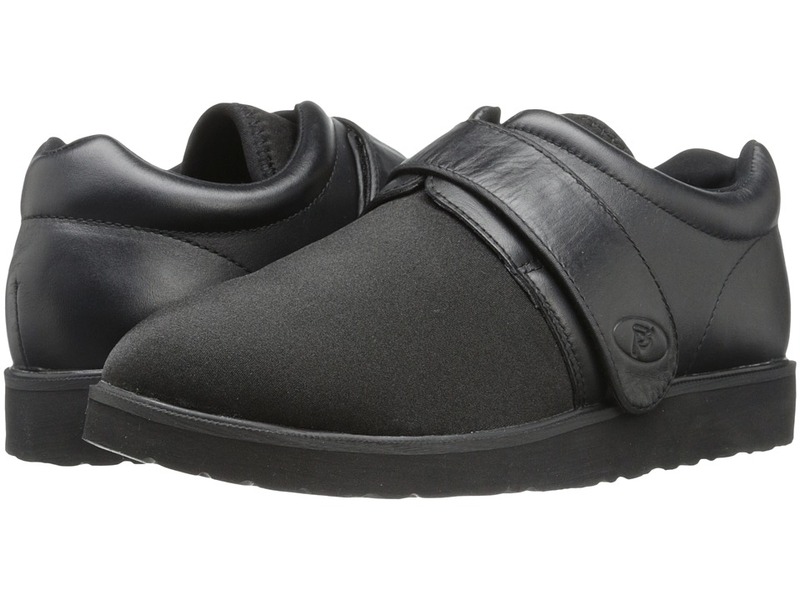 Stylish, hook-and-loop comfort shoe. Supple, smooth leather stretchable nylon uppers. Hook-and-loop closure for a perfect fit. Leather lined quarters. Removable, Poliyou air insoles for moisture and odor absorption, enhancing foot comfort. Extra Volume fitting. Double removable insoles for additional volume and maximum customization. Lightweight EVA midsole for shock absorption. Specially designed Rubberlone outsole. Medicare/HCPCS code = A5500 diabetic shoe. Measurements: Heel Height: 1 1 4 in Weight: 11 oz Platform Height: 3 4 in Product measurements were taken using size 8, width M (D). Please note that measurements may vary by size. Weight of footwear is based on single item, not the pair.